What is Crystal City like? I remember reading forecast articles in my Houston apartment in 2017 about Amazon HQ2 with a mix of curiosity and disinterest. It all didn’t matter, Amazon HQ2 wasn’t going to be anywhere near where I was. If anything, HQ2 would land in Austin, like an airborne alien ziggurat, hovering and choosing for years over which city to bless. I secretly hoped HQ2 would land in Denver too, if anything to help my friends and family back home in Colorado. Little did I know that in the future, I’d find myself in the place that had claimed HQ2 like a wallflower suitor. Nobody really expected Crystal City, but after working here for a while, I can see why it won for both Amazon’s leaders and workers. As a worker I feel … happy in Crystal City. I take the Yellow Line over the Potomac each day, rolling past the Pentagon and Pentagon City stops until I’m in Crystal City. With No Service brandished across my phone like a warding spell, I get a lot of reading done on my way to the office, and if I forget a book, I play a game where I guess who will get off the train at the Pentagon Station, and who will get off the train at Crystal City. Usually people with cool socks will exit the train at Crystal City. There’s a saxophone player at Crystal City station who shows up most every day. He plays pop hits like Adele and Katy Perry - I’ve put at least $5 in his jar but this is a shame given the amount of smiles he creates. I’ve only heard a sax player in Crystal City play Careless Whisper once, which is pretty amazing as far as sax restraint goes. And really, Crystal City is not far from DC at all. It’s something like 6 stops from McPhearson Square Station and the Washington Post at One Franklin Square. It’s gonna work out for Jeff Bezos. As for workers: I’ve worked in Boulder, Austin, Houston, and Columbia Maryland, and have never felt safer or happier than in Crystal City. There’s nothing to think about or worry about. In Boulder I had to worry about paying for street parking at the right times, and theft, harassment from randos and homeless people and trustafarians alike. In Crystal City there’s basically none of that. I mean the Pentagon is right there - you’d have to be bonkers to do anything funny. Where did all the people go? Am I in a dream? Even in the summer, Crystal City seems empty but not in a bad way. In a twist of fate, one of my fellow Hurricane Harvey refugees from Houston ended up working in the same building as I do. There’s something to be said when the smart people you meet from one city end up meeting you again in another city, when there are thousands of cities in the world to choose from. That’s the magic of Crystal City - it’s extremely peaceful and orderly on the outside and absolutely glittering with intelligence and wonder on the inside. Crystal City is like the best you could hope for in a human being: strong, not too gaudy, and surprisingly intelligent. At a certain point in late 2018, working in Crystal City became like a weird movie, like some kind of Truman Show where everything was just too perfect. It was just too right. 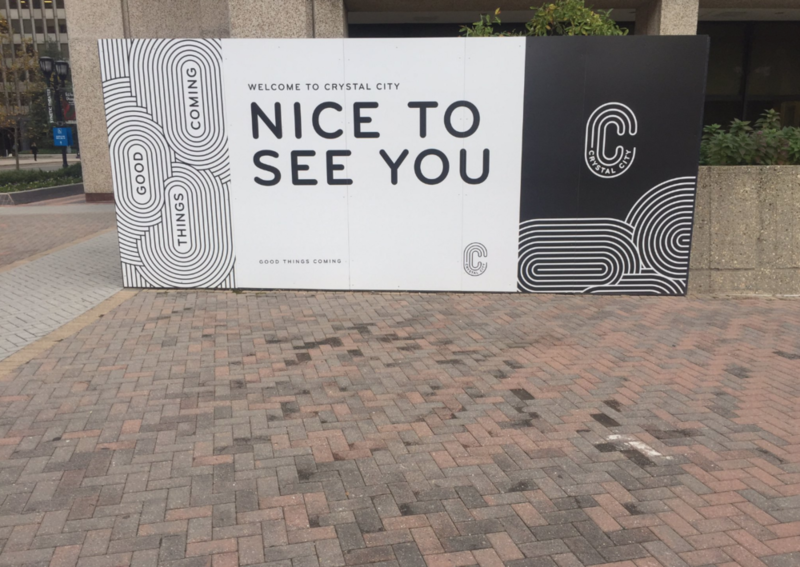 Crystal City was trying hard, harder than most, but it did so in a pretty classy way. I wonder if Crystal City will keep its immaculate Truman Show chill when Amazon arrives? One reason why I wanted to write this post was to capture the place as it is in late 2018 and early 2019, long before the ziggurat touches down.